Want a professional CV Review? Go Zambia Jobs now offers a professional CV Review service for just K149.00! 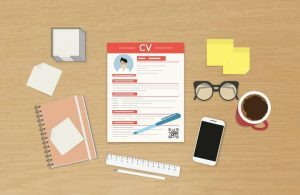 The CV Review will help you to create a high-impact CV that could improve your application success rate. It could just be the best K149.00 you spend this year! This service is for a review of your CV that will help you to improve your CV. This service does not include a full re-write of your CV. Sending us your order is simple. Just get your payment card and click on the Order Now button below. The order process stakes less than 1 minute.